Facebook was shocked this year in India when TRAI decided to shut down the company's ambitious Free Basics Project. It seems that even after this shock, Facebook has not lost the courage. Actually, the company is now testing its Wi-Fi service in India. Facebook has confirmed that it is working with several Internet Service Providers in the country to test the express WiFi service. The BBC has informed that Facebook's express WiFi service is still in the initial stage. This service is now available on 125 rural Wi-Fi hotspots. This social media released the press release and said, "Wi-Fi services are being tested in conjunction with many local internet provider companies." Facebook will make its express Wi-Fi services available in other areas in the coming days. 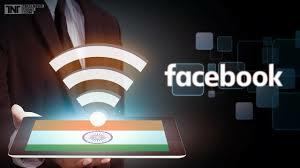 "Express WiFi is working with internet service providers, telecom companies and local entrepreneurs, through which we want to connect to places around the world," said Facebook's Express Wi-Fi page. And soon we will start our services in other areas too. " The express WiFi service aims to transmit data from local internet service providers to a common user. "When people buy fast and economical and reliable internet, they get an opportunity to get information related to news, education, health, jobs, and the internet," it has been written on the official page. The company emphasized that with the help of Express WiFi, local entrepreneurs will provide quality internet in their area, together with this it will be their earning method.